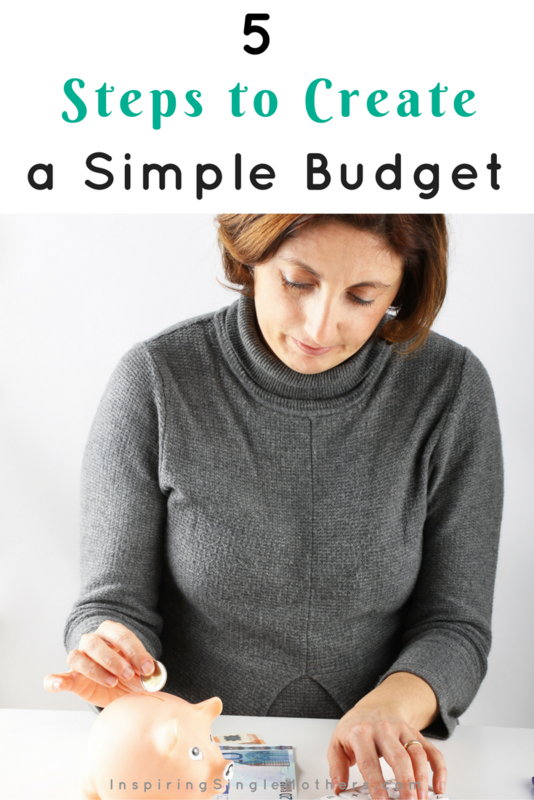 Now let’s go a little deeper into creating a simple budget system for your household. A couple of things to remember: setting up your budget is the easy part. From here on out, you’re inputting your numbers, making adjustments, etc. But the hard part may be getting through the mental hump of following a budget especially if you’ve been winging it for a while. Don’t beat yourself up. Give yourself time to adjust. 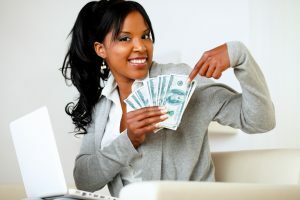 But you do have to actively and consistently work on your budget at least once a month in order to change your mindset. Remember, we’re on a beautiful journey. Step 1: Choose a system for Budgeting – paper or online. I use a Google spreadsheet where I input my numbers manually. This is a little more work but it helps me to understand my money. A quicker way is to use online apps or websites that include Mint, EveryDollar, etc. These companies will allow you to set up automatic transfer of your money data from your bank, credit card companies, etc. They also perform other automatic calculations for you. If you’d rather go the paper and pencil route, feel free to download my simple budget checklist! It will get you started if you’ve never created a budget before. Download it. Print it out. Write in your information. Keep it in a folder. Step 2: Input and calculate your income, expenses, and savings. If you’ve done items 1 and 2 listed at the beginning of this post, then you should have these handy. Input your income from all sources. You can input this number just as a combined total or you can take the additional steps in listing each source individually. Taking this extra step helps in keeping track of income from all sources. Input your expenses which include utilities, debt, mortgage/rent, groceries, etc. Each expense should have separate line so you can clearly track how much you’re spending monthly on each. 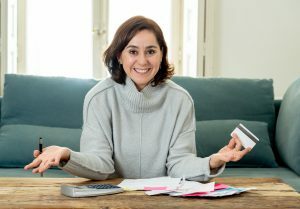 You’ll also want to include monies that you’re allocating toward savings whether it be your emergency fund, college fund, retirement, etc. If you haven’t set up your spreadsheet to calculate your income and expenses automatically, you should do so to make this process easier and quicker. If you’re using an online source, then your calculations will be done for you. Step 3: Separate expenses by category. I like to take the simple extra steps of creating separate categories for my expenses. This allows me to get an even better understanding of how my money is working for me by breaking everything down. For instance, utilities can be broken down into electric, gas, water, etc. For savings, this can be broken down by giving each a specific name similar to its purpose – emergency fund, vacation fund, new car fund, etc. Again, make sure these calculations are done automatically for you to save time and to increase accuracy. Step 4: Review your budget on a regular basis. Review your budget each month to make sure you’re capturing all of your income and expenses. Leave no stone unturned. 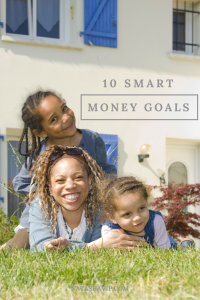 Set financial goals for yourself to stay on track. Are you in the red or black? If you’re in the red, determine where you should cut so you can balance your budget each month. The key is to give every dollar a purpose and end up with a zero balance. Don’t forget to include gas and spending money in your budget. Step 5: Start inputting next month’s projections. To make budgeting simpler and to get ahead of yourself, begin a spreadsheet for next month’s projections. Every month will be different because you’ll need to account for birthday or wedding gifts, family trips, etc. Looking ahead can give you an early glimpse on how much to set aside for each line item excluding utilities, mortgage/rent, or car payments where the payment amount is set by the company. *Bonus: Create a filing system. Keep track of your finances. Always know where you stand. There are two ways to do this – paper filing and/or electronic filing. You will save yourself so much time if you create a system for yourself whereby you file your documents immediately after payment. This is also crucial for tax time so you won’t be scrambling to look for important documents that could save you money on your tax bill. I use both a paper and electronic filing system. But I have very minimum in paper. I keep at least one paper copy of every account I have for quick reference. The rest are filed electronically in separate folders on my computer. Each time I’m alerted that a bill is ready to view, I save the PDF version in the electronic folder. My files are backed up through Dropbox. You can open a Dropbox account for free and given a certain amount of storage. If you only use that storage for the filing of your financial documents, then you should have ample space. However, if you begin to save photos there, for example, you’ll quickly run out of free space. You have the option to purchase more space for a monthly fee or you can pay for an entire year. The key is to keep a backup of any files you have on your computer either using an external hard drive or a source like Dropbox. You don’t want to lose your files or family photos for that matter – bonus, bonus tip…:-). 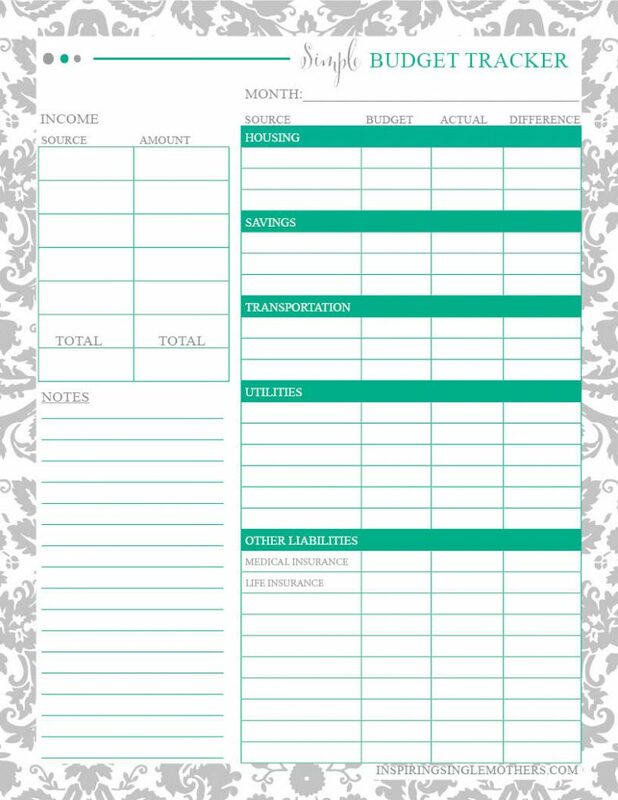 Remember, you can download my free printable budget worksheet by clicking below. 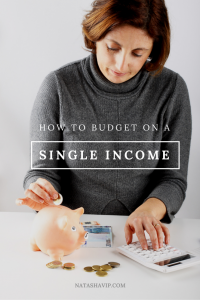 Do you currently have a simple budget system? Tell me about it. If you don’t have one, I hope I’ve inspired you to start one today. It feels really good and puts your mind at ease when you have a financial plan.